A video editor by trade, Annie has had parallel careers extensive experience training and consulting people of all levels of fitness from beginner to elite. 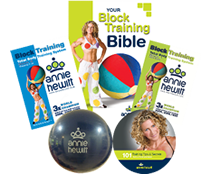 Having 3 world Natural Body Building and Australian/Oceanic Weightlifting titles – with over 20 years experience – Annie is now sharing her training tips and secrets with her global on-line community – her extensive experience enables her to design and implement dynamic health and movement programs – all with a very personal unique and highly advanced approach. “Results aren’t hard to get, it is the effort that makes the process difficult. Let me be your guide…your mentor, on your journey of self discovery”. Her knowledge, enthusiasm, commitment to her clients achieving their goals and her ability to connect with each of them is what makes her so popular. Former world champion and fitness professional Annie with her very unique & highly advanced approach will inspire motivate educate and support you every step , that’s the TIMBER GYM way!